As incongruous as it is to start a roundup of the year in conservative environmentalism by quoting Lenin, he provides the perfect quote for the times we find ourselves in: “There are decades where nothing happens; and there are weeks where decades happen.” Surrounded by the fog of war, it can be hard to recognise those moments, and those interventions, that will leave a lasting mark on our political landscape. The publication of the IPCC’s 1.5 report - and the subsequent ask by the Government of the Committee on Climate Change for their advice on plotting a course to net zero - was one such moment. The report highlighted the urgency of action to limit climate change to 1.5C - but also showed that we are better equipped than ever to address these challenges. While the engineers and businesses will do the hard work in providing the technical solutions to achieve full decarbonisation - we at CEN will do our part in providing the political will to support this change. This has been quite the year for CEN - and I can’t write about it without first mentioning the passing of our much loved Director Sam Barker in August. He was an exceptional man - warm, wise, kind and generous, and did great work during his time with CEN and Tearfund. We will honour his legacy with the establishment of a Sam Barker Memorial Prize and Lecture in 2019. 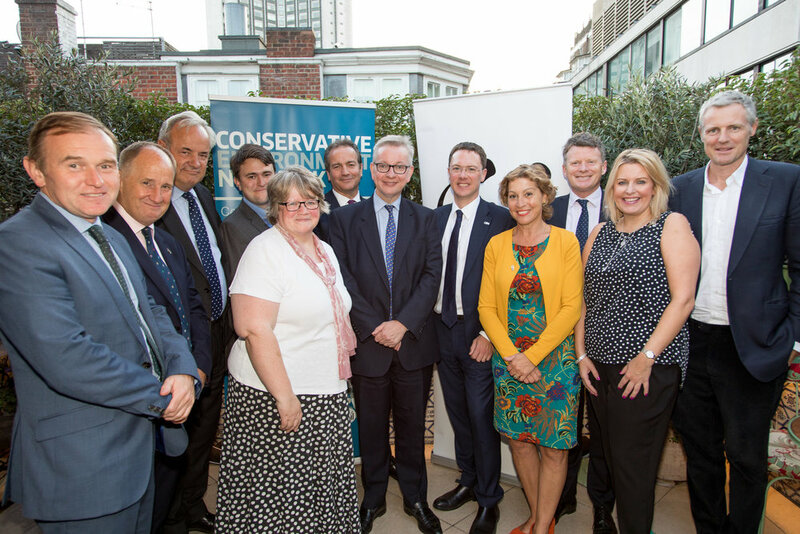 This year has seen the coalescing of CEN’s network of MPs into a cohesive fighting force for green conservatism in Parliament, with the launch of our MP caucus. We now have 26 Members of Parliament who have signed up to support our six core environmental principles. They have worked to bring forward an Agriculture Bill focused on public money for public goods, to support Green Great Britain Week, and we owe them a huge debt of thanks for their constant support for CEN - from signing letters to the Prime Minister to speaking at our events. An extraordinary amount has been achieved. The ban of ivory has passed into law, and other measures, including £6 million to tackle illegal wildlife trade, was announced at the IWT Conference in London, championed by CEN MP Zac Goldsmith. We celebrated our first Green Great Britain Week, as the country which has reduced its emissions faster than any G7 nation, while leading them in economic growth. Simon Clarke has led the campaign on Net Zero, Rebecca Pow has done great work on microfibres and soil, and Vicky Ford welcomed action to tackle single use plastics, speaking at our event at conference about the health impact these can have on communities in developing countries with poor waste management facilities. There are many more achievements and ongoing campaigns to list, and we will champion more of them, and the work of our Caucus, in the new year. 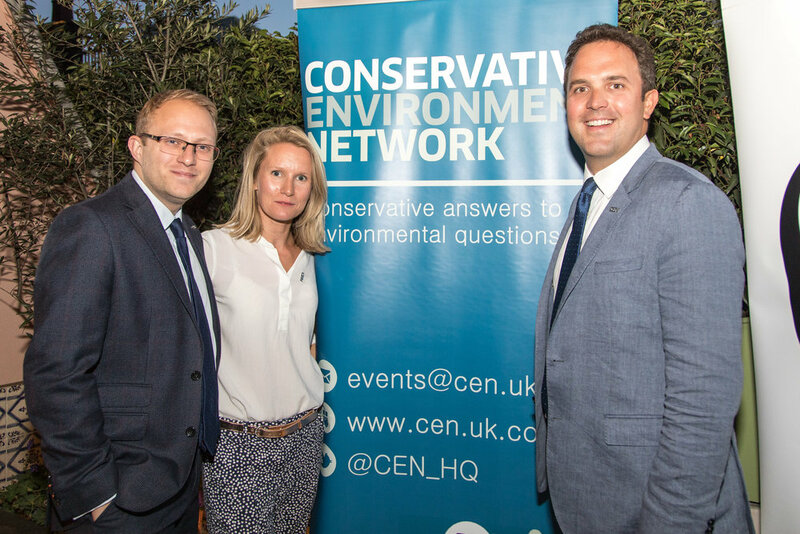 We also launched our Membership, for supporters of conservative environmentalism both within and without Westminster, which is growing steadily with the incentive to drink back your membership (as well as the priceless content found in this newsletter of course). This is headed up by our excellent team of Ambassadors, thought leaders in their fields. It was a pleasure to see so many members at a busy party conference - as we covered topics from marine plastics and animal welfare to clean growth and air quality - and at our Net Zero conference, as we considered how to decarbonise those trickier sectors, of land use, heat, industry and shipping. I should also note that we have met, and worked with, many NGOs, charities and businesses in the short seven months that I’ve been director, and I have been delighted by the openness and enthusiasm with which people have met us. There is a real desire for cross-party collaboration on the environment, and an appreciation of the good work that Michael Gove and Claire Perry are doing to drive this agenda in Westminster. Next year has already begun to take shape, with new projects in the pipeline on international leadership, the Environment Bill, trade policy, air quality and more. This will come alongside the expansion of CEN both in-house and as we look to introduce CEN councillors and more members. Plans have also begun for our much anticipated summer party in July, which CEN Members will of course receive priority tickets for. As always, we welcome the input of our members, and are always looking for partners. If you or anyone you work with is interested in working together, then please do send us an email. In the meantime, for our last newsletter of the year, I hope you have a wonderful Christmas and New Year, and look forward to 2019. Merry Christmas.